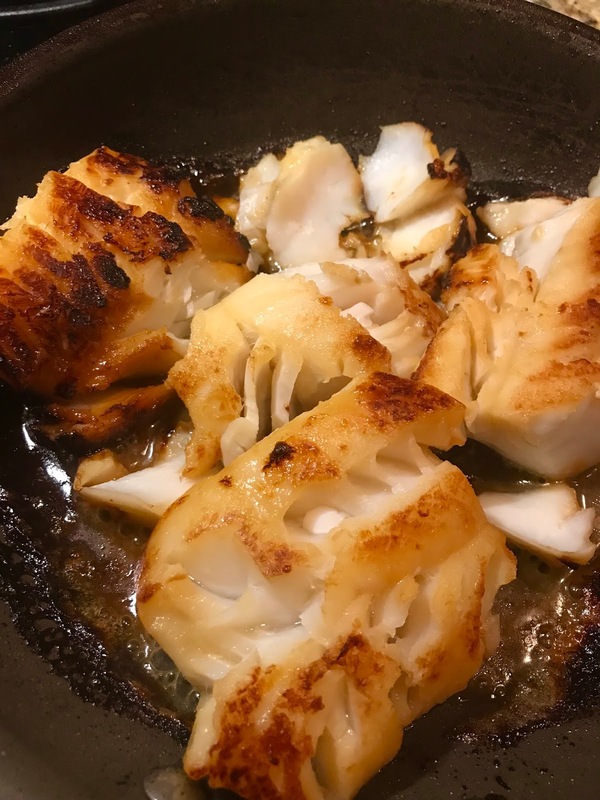 I wanted to find a way to make the incredible Nobu black cod miso, without having to wait three days for it to marinade. 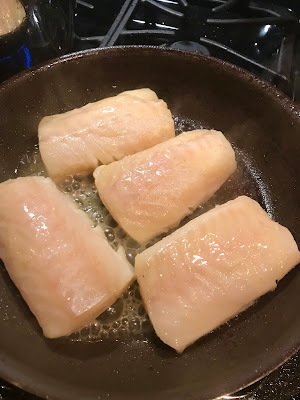 Additionally, black cod can be difficult to find and expensive in many regions, so I wanted to try an streamlined version utilizing Pacific cod. Any flaky white fish will work, but fresh cod is perfect. This version can be ready in as little as one hour, but I do think it benefits from 4-5 hours of marinating before you cook it. Read through the recipe in its entirety, as there is a hint that will make prepping the glaze a lot easier. I found this recipe on the NYT cooking site and modified it slightly. I was very happy with how it turned out. Enjoy! 1 1/2 lbs fresh Pacific Cod filets, skinless. To prepare your sauce add the mirin and sake into a small saucepan and bring up to a soft simmer for 20 seconds. Reduce the heat to low and add in the miso, then increase the heat to medium and whisk until the miso dissolves. Add the sugar and whisk until the sugar dissolves. Remove from heat and let it cool. Hint: I have never had the miso completely dissolve, but I have a trick to address that issue. Once it has cooled slightly, push it through a fine mesh strainer. Throw away the miso that has not dissolved. Add the toasted sesame oil and set the glaze aside to continue cooling. Rinse your cod filets and pat them dry. Pour a bit of the glaze on the bottom of your Pyrex dish and lay the filets in and pour the remaining glaze over the top. Cover and pop it into the refrigerator for marinading. Before you are ready to begin, take the filets from the refrigerator and set aside. You don’t want them to be very cold when you start to sear them. Put the rack in the middle to upper middle part of the oven and preheat to 500F. Not too close to the broiler. Basically you are going to bake it and sear it at the same time. Once the oven is up to temp, kick the broiler on high. This is how you are going to bake and sear at the same time. Using a non stick sauté pan that can go into the oven, heat up the pan and add a tiny bit of oil. Take the filets out of the Pyrex dish and knock off any extra marinade, but don’t wipe it off. Put the filets in the sauté pan and sear on one side for 2-3 minutes. Transfer the entire sauté pan into the oven and cook until the fish starts to brown and bubble. About 6-8 minutes. You want the fish to be caramelized and flake easily. Gently transfer to a warmed plate and serve immediately.